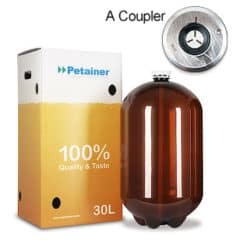 1 wood palette with 80 pcs of the PETA-20CLSX Petainer Keg 20 liters, with classic S-coupler, without paper boxes. 1 pallet is the minimum orderable quantity of this product. 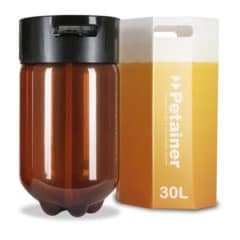 What is Petainer Keg and why use it ? 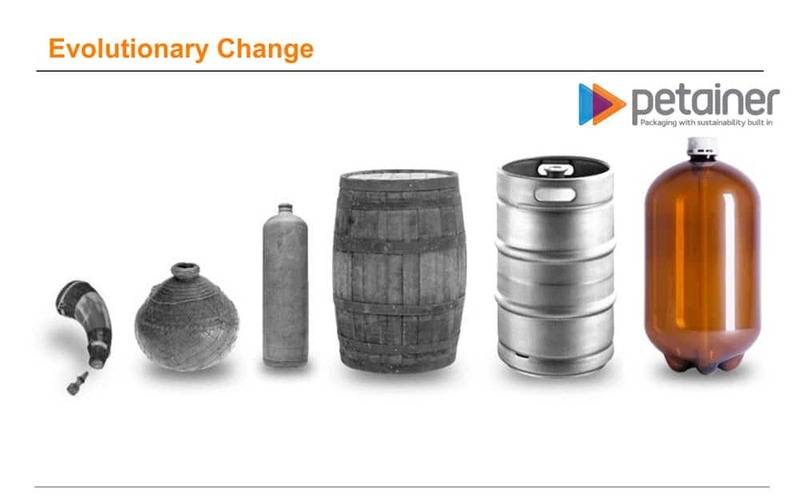 Petainer is a fully-recyclable, sustainable “one-trip” keg, made mostly from Polyethylene terephthalate (PET). Petainer has found most of its success in Europe. 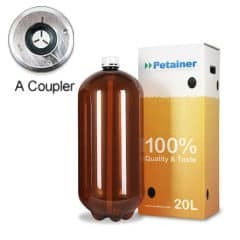 Petainer’s innovative PET kegs allow you to deliver beer, wine and cider anywhere in the world at a fraction of the previous cost. The filling head has valves adapted to the slow filling of petainers under back pressure. 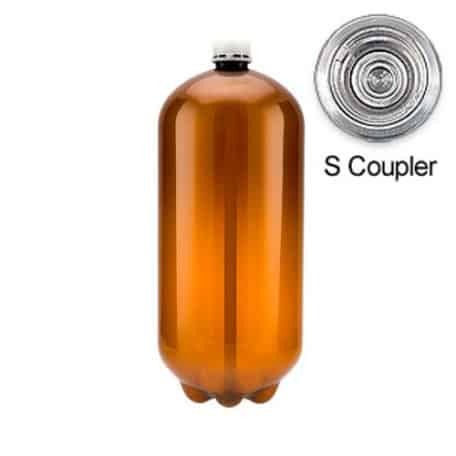 The head also allows filling of petainers before filling with inert gas. 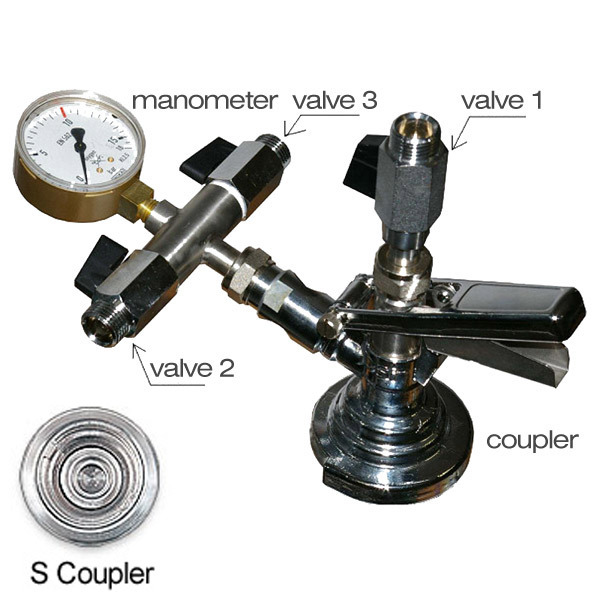 Please specify properly a type of the filling head in your order : S-coupler is designed for this type of the Petainers. 1 wood palette with 48 pcs of the PETA-30CLAB Petainer Keg 30 liters, with classic A-couplers, with white paper boxes. 1 pallet is the minimum orderable quantity of this product. 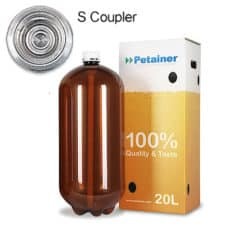 1 wood palette with 80 pcs of the PETA-20CLSB Petainer Keg 20 liters, with classic S-couplers, with white paper boxes. 1 pallet is the minimum orderable quantity of this product. 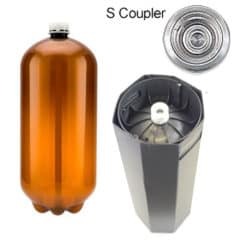 1pc of wood palette with 48 pcs of the PETA-30USDS Petainer Keg USD 30 liters, with S-coupler, with the USD machinery keg filling protection-reduction pack. 1 pallet is the minimum orderable quantity of this product. 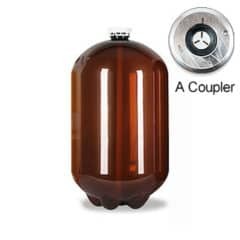 1pc of wood palette with 48 pcs of the PETA-30USDA Petainer Keg USD 30 liters, with A-coupler, with the USD machinery keg filling protection-reduction pack. 1 pallet is the minimum orderable quantity of this product. 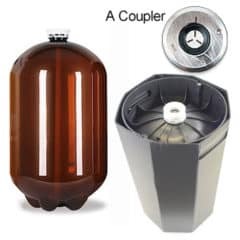 1pc of wood palette with 80 pcs of the PETA-20USDA Petainer Keg USD 20 liters, with A-coupler, with the USD machinery keg filling protection-reduction pack. 1 pallet is the minimum orderable quantity of this product. 1 wood palette with 48 pcs of the PETA-30CLAX Petainer Keg 30 liters, with classic A-coupler, without paper boxes. 1 pallet is the minimum orderable quantity of this product. 1 wood palette with 80 pcs of the PETA-20CLAB Petainer Keg 20 liters, with classic A-couplers, with wihite paper boxes. 1 pallet is the minimum orderable quantity of this product. 1pc of wood palette with 80 pcs of the PETA-20USDS Petainer Keg USD 20 liters, with S-coupler, with the USD machinery keg filling protection-reduction pack. 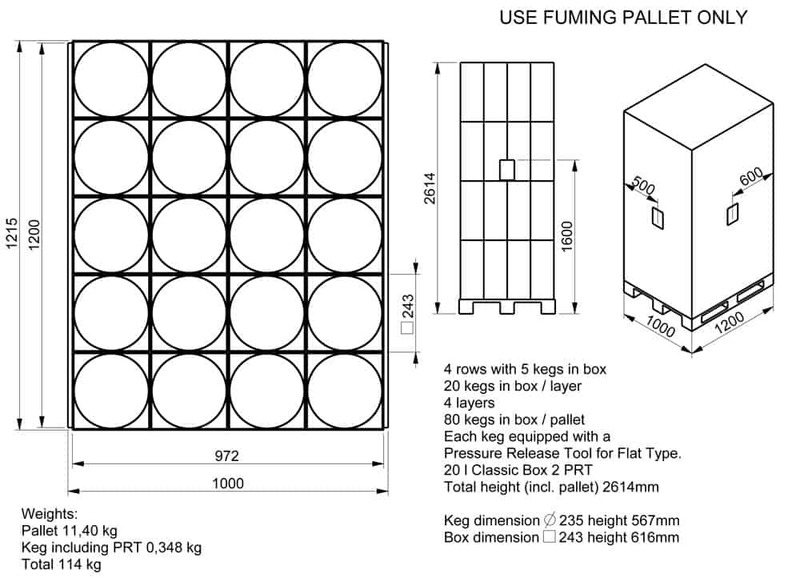 1 pallet is the minimum orderable quantity of this product.